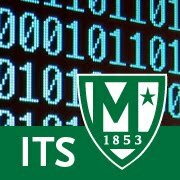 Manhattan College ITS Blog: Reminder to transition to Google Drive: one place to create, collaborate, share and keep all your stuff. Reminder to transition to Google Drive: one place to create, collaborate, share and keep all your stuff. Google drive is a tool available to all JasperNet users. Google drive keeps your files safe and allows access to them from anywhere. Drive provides JasperNet users with unlimited shared storage (shared with Drive and your Gmail account). Drive represents a significant upgrade to your home server account by delivering unlimited storage as well as access from anywhere. Not only is Drive accessible from any campus computer, but anywhere in the world through your JasperNet Gmail account on the web as well as on your phone or tablet through the Google Drive app. Additionally, Google Drive Sync is available for your Mac/PC desktop to synchronize your local files with your Drive storage - giving you seamless, secure access to your files anywhere/anytime. 04/13/2015 - Drive: Accessing your Google Drive via "drive.manhattan.edu"